Speaking for the first time about the matter in Abu Dhabi on Friday, Raikkonen confirmed that he did come close to not racing this weekend, and has not ruled out skipping either of the final races in the United States or Brazil. 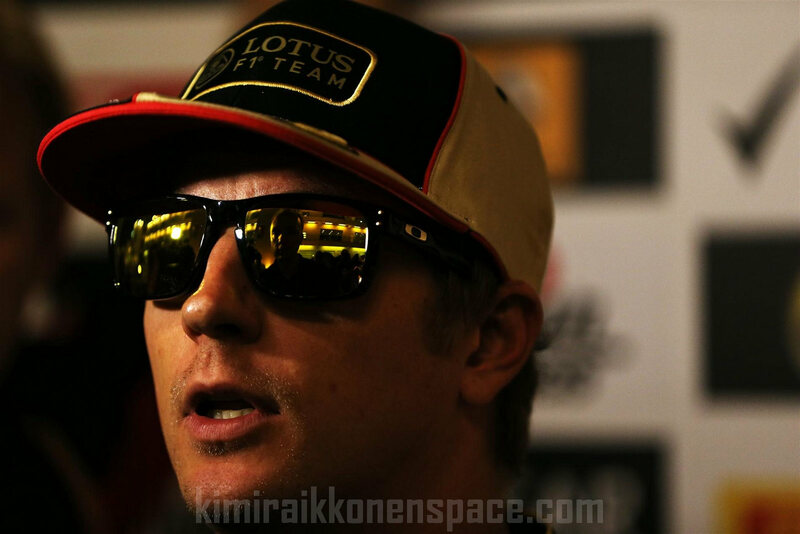 “I came here only because hopefully we found an understanding on the certain issues we have been having,” said Raikkonen. When asked by AUTOSPORT if he would contemplate not taking part in the final races if the outstanding matters are not resolved, Raikkonen said: “For sure. I enjoy racing, I enjoy driving – but a big part of it is business. “Sometimes when that is not dealt with like it should we end up in an unfortunate situation. Raikkonen’s relations with the team were strained by the radio exchange in India, when he was ordered to move aside for Romain Grosjean, but his main frustration is relating to outstanding wages – which are believed to be in excess of $15 million. Speaking about the radio discussion with trackside operations director Alan Permane, Raikkonen said: “It is a part of it. It is true those things should not happen but they have happened. That is not really the issue. The 2007 world champion also expressed frustration at the fact that his loyalty to the team has been questioned at a time when he has not been paid. “Sometimes it is not very nice when you hear that you are not really a team player, and you don’t have the interests of the team [at heart] – but you have been paid zero Euro the whole year,” said Raikkonen. When asked by AUTOSPORT if he was confident a deal could be reached with Raikkonen to ensure he races in Austin and Brazil, Boullier said: “Part of it I cannot answer you. Although the Raikkonen situation has come just as Lotus is knuckling down for a tough fight for second in the constructors’ championship, Boullier said he was hopeful the matter would not affect its chances on track. “We have an exceptional group of people in Enstone and they produce a car, with the last aero package based on the long wheelbase, that is delivering,” he said. “We just do our best to be delivering on track. There is obviously some issues which we know already for a long time and we are waiting, as Gerard said, for the new investment company to close the deal with.